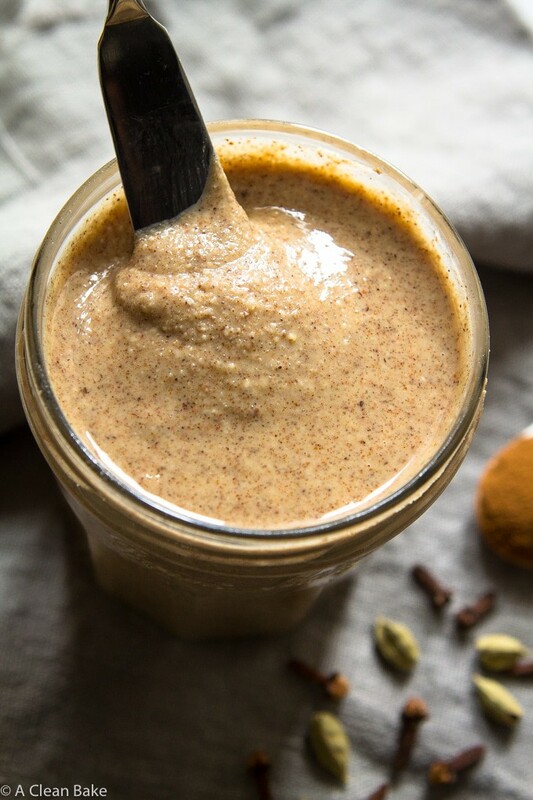 Chai spice almond butter is a warmly-spiced twist on your favorite creamy nut butter! Sometimes I have had an idea, or a thought, or a phrase in my head for so long that it’s hard to remember where it came from. The title of this blog. My cat’s name. 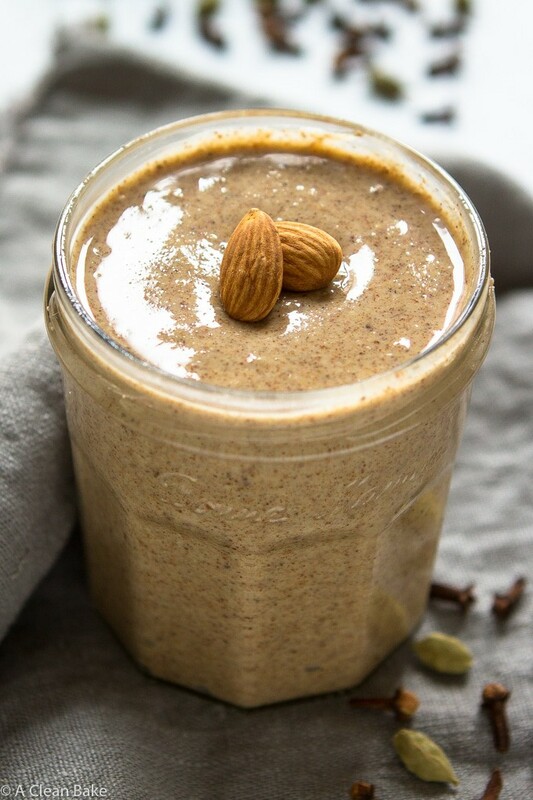 Chai spice almond butter. All of these are things that sounded so familiar before they actually even existed, and once they did, it took a long time to actually wrap my head around the fact that these abstract, yet familiar, ideas actually exist and can be eaten straight out of the jar with a spoon. Oh wait, maybe that’s only to the chai spice almond butter. 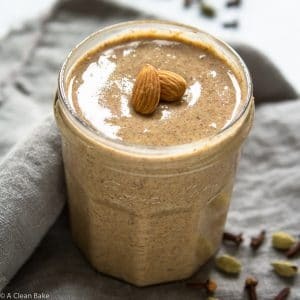 I couldn’t tell you when, exactly, I decided that chai spices would pair well with almond butter, but something about the crescendoing warmth of cardamom and the silky richness of pureed almonds seemed like a match made in heaven. Why hadn’t anyone done this before? I’m sure they had. But why hadn’t I!? And so, when I realized I had used the last of my almond butter for these cookies, it seemed like a good time to get back on the DIY Nutbutter Train. Man, I’m glad I did. If you’ve never made your own before, homemade nut and seed butters put even the best quality store-bought versions to shame. 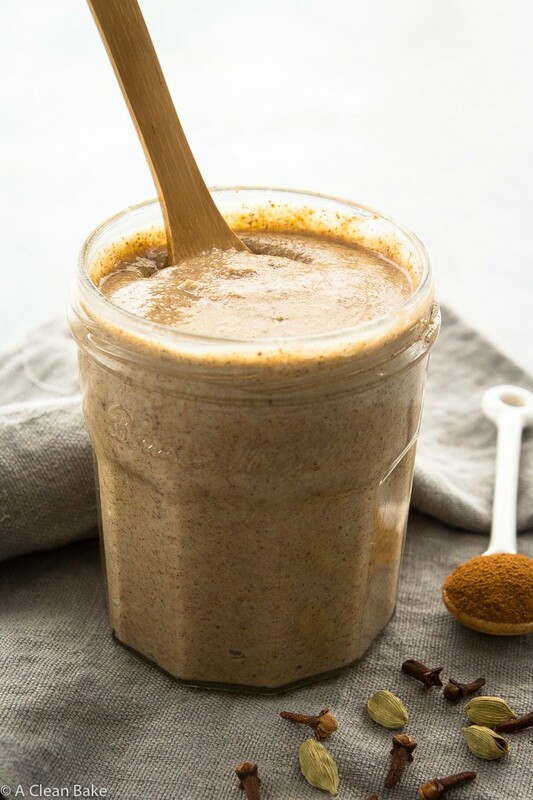 They’re thick, but still stirrable, well mixed (no oil separation, because homemade nut butters haven’t been sitting in a jar for weeks or months), and feel so luscious on your tongue. It’s a whole new ball game. And the best part? All you need is nuts, a blender or food processor, a little oil and – in this case – a handful of warm spices. 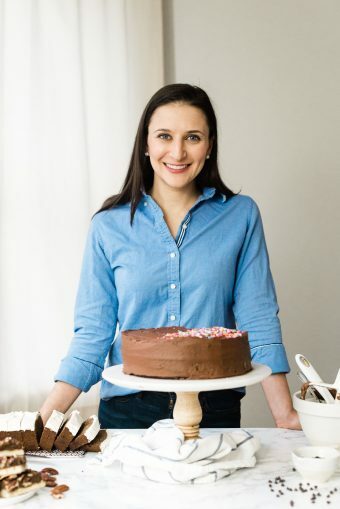 5-10 minutes of machine work, a quick swipe around the edges of the bowl with a rubber spatula (and a quick finger swipe of the butter — for testing purposes, of course), and you’re all set with nut butter for the next… well I’d say for the next couple of weeks, but this stuff is so good, it may not be around for that long. In the jar of a high speed blender (such as a Vitamix) or the bowl of a food processor fitted with the "s" blade, pulse the nuts several times until they start to resemble course sand. Add the oil, then puree to a liquid. This may take some time. Make sure that you're stopping frequently to scrape down the bowl and keep the nuts from packing together too much (which could jam the blade and burn out your motor). Once the nuts have turned into butter, add the sweetener and the spices and blend to combine. Taste and adjust spices to your preference. Serve immediately, or see notes for storage guidelines. I use cashews to make my almond butter extra creamy, but you can feel free to replace the cashews with almonds (i.e. use 3 cups almonds total). Omit sweetener for Whole30 compliance. Store leftovers in an airtight container at room temperature for up to two weeks. The flavor of the butter will develop a little after a few hours, as the spices mingle and the flavors deepen. I’m afraid this is going to be so good I will only be eating it out of the jar with a spoon. Love the cashew-almond combo to make it extra creamy.